Pat Murphy has just the right mix of experience and energy that he has devoted to his practice over the last twenty-five years. He has extensive trial experience in both state and federal courts in a time when the civil jury trial has become increasingly less common. Pat has taken the incredible legal training and pedigree set forth by his father and turned it into an efficient and engaging style of litigation that his clients deserve and adversaries respect. Pat’s diverse set of practice areas include all types of general liability, commercial liability, construction law, D&O Liability, liquor liability/dram shop, civil rights and products liability. This broad base of experience allows Pat to easily adapt to the needs of a case, apply his skills, and solve problems for his clients. Pat is admitted to practice in the Commonwealth of Pennsylvania, the Federal Court of the Middle District of Pennsylvania, the 3rd Circuit Court of Appeals and the United States Supreme Court. He has been an active member in the Lackawanna County Bar Association, Pennsylvania Bar Association, Pennsylvania Defense Institute and the Defense Research Institute. 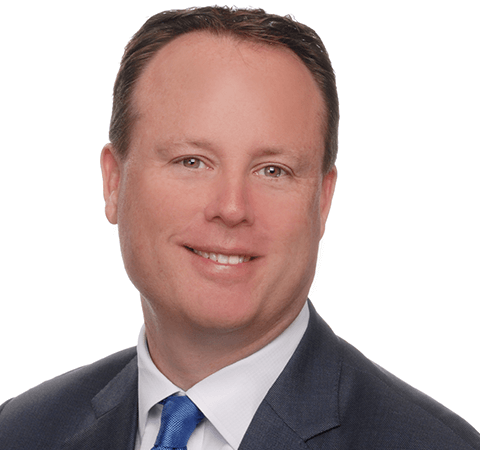 He graduated from Fairfield University in 1991 and Seton Hall University School of Law in 1994 and immediately took his talents to Scranton, Pennsylvania where he built his practice. Outside of the office, Pat is married to his wife Liz, a corporate recruiter for a Fortune 500 company, and together they have two beautiful children. Pat is an active father involved with all of his kids’ activities and, when possible, loves to try and squeeze in some golf.